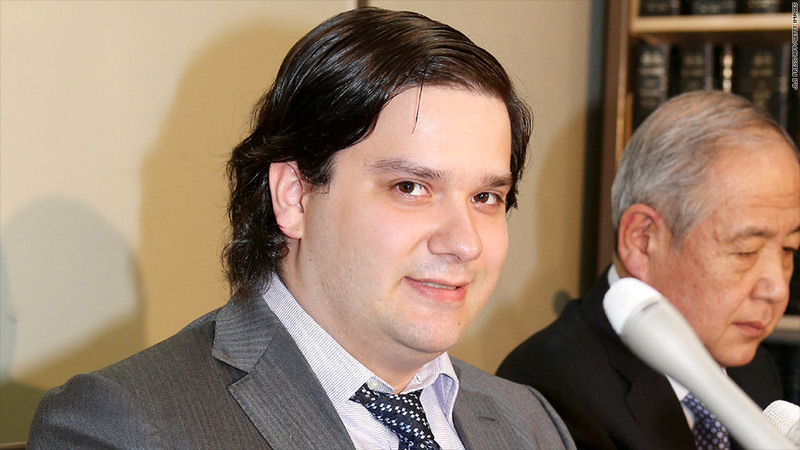 A federal judge temporarily froze the U.S. assets of Mark Karpeles, the CEO of shuttered bitcoin exchange Mt.Gox. A federal judge ruled Tuesday to temporarily freeze the U.S. assets of Mark Karpeles, the CEO of shuttered bitcoin exchange Mt.Gox. Mt.Gox was one of the world's largest bitcoin exchanges until last month, when it stopped investors from withdrawing money after discovering that its trading platform was under attack by hackers. The Tokyo-based company took down its website and halted trading in the virtual currency, and has since filed for bankruptcy protection in the U.S. and Japan with debts of $64 million. About 1.75 million bitcoins held by Mt.Gox and its customers have disappeared, according to Teikoku Databank, a Japanese bankruptcy tracking firm. The asset freeze also extends to Mt.Gox's U.S. affiliate, and its Japanese parent company, Tibanne, according to Christopher Dore, an attorney representing an American Mt. Gox customer who is now suing the exchange. The value of the frozen assets was not known. Even before Mt. Gox went down, the company already had big financial problems. By its own account, the firm collected only $380,450 in revenue during most of 2012. But it lost 13 times that the next year, when U.S. government agents seized $5 million from its accounts for allegedly lying on bank documents. Confidence in the virtual currency has been shaken. It has lost about 50% of its value since trading as high as $1,000 last year. But advocates of the virtual currency insisted that the problems at Mt.Gox will not spell the end of bitcoin.